Mighty Grams LLC launches mightygrams.com, a website devoted to custom printed invitations and thank you cards. 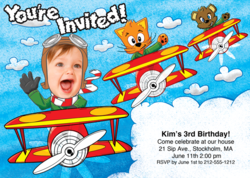 Mighty Grams’ custom printed invites and thank you cards allow the user to digitally insert themselves or a loved one into a fantastic scene drawn by super talented artists. Over the last decade, the popularity of online and emailed invitations has grown. People don’t have a lot of time to spare in their busy lives, and online invitations are quick and easy. However, the founders of Mighty Grams believe that people still want to send and receive custom printed invitations and thank you cards. 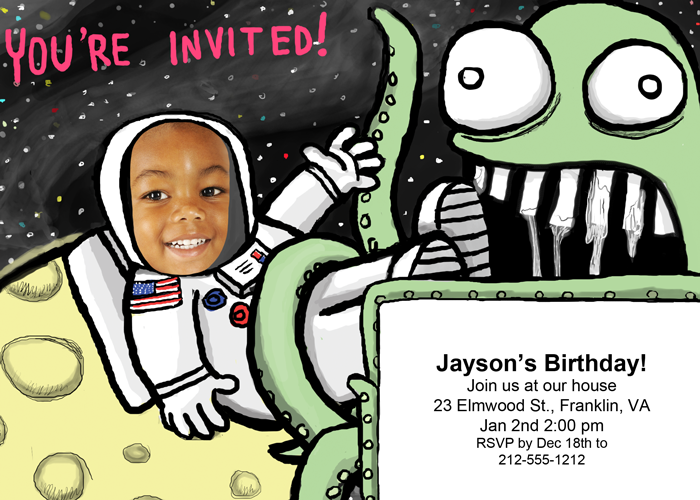 Consumers will be willing to forego digital invitations if the custom printed invitation is original, humorous, and has a dash of quirkiness. More importantly, the tool to create the cards must be easy to use, and the final product must be high quality, affordable, and quickly shipped to the customer. Mighty Grams covers all of those bases, and prints all products on 100% post-consumer recycled paper. 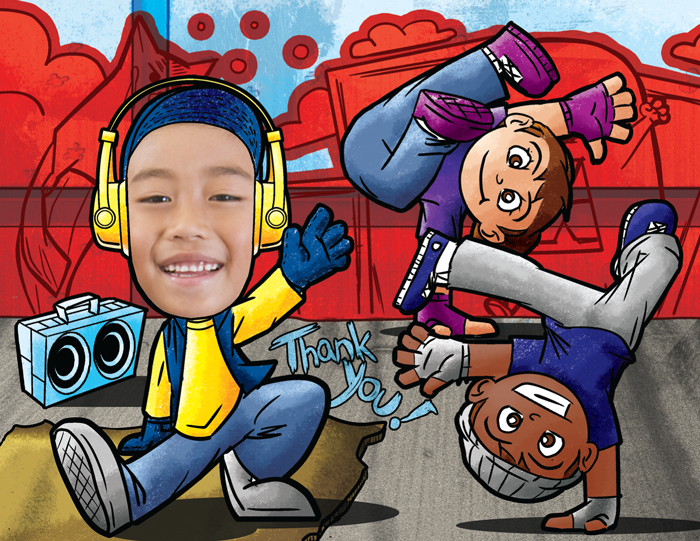 Mighty Grams’ custom printed invites and thank you cards allow the user to digitally insert themselves or a loved one into a fantastic scene drawn by super talented artists. Their "face in the hole" concept is not a new idea. It has been around since the dawn of the American traveling circus. For Mighty Grams’ co-founders, some of the best photos in their scrapbook are from amusement parks where they inserted their child’s face into a fun, painted scene through a wooden hole. In addition to the cards, Mighty Grams also offers a free digital postcard for those who just want to send something silly to friends via Facebook and Twitter. These digital postcards are similar to the custom printed invitation and thank you cards, but have their own unique design. They offer a quick introduction to the Mighty Grams card creation tool, while having a little fun at the same time. From children's book illustrators like Laura Huliska-Beith, to caricature artists such as Sheena Hisiro, Mighty Grams has hand-picked some of the best and most diverse illustrators around. All artists receive a percentage of the sales of their designs, so not only does Mighty Grams benefit from good design, but the artists do as well. The "Our Designers" page on the website lists all of the artists and includes brief biographies and interviews. In the future, Mighty Grams will be expanding their design catalog with current artists and will make use of crowdsourcing by holding contests for new designs. The site will allow design submissions via an easy-to-use design submission form. These contests will start during the spring of 2012. As the site grows, Mighty Grams will also be broadening their reach by expanding to mobile platforms.